I remember going on my first whale watching trip seventeen years ago: dressed up in a red survival suit, travelling off the coast of Vancouver Island (Canada) in a small zodiac. No other boats around but us. The sight and sound of the 14m Gray Whale surfacing beside our small boat shortly after have stayed with me ever since. It was overwhelming experiencing such a charismatic giant! Four years later, I was standing on a clifftop on nearby San Juan Island conducting fieldwork for my Masters degree on whale watching. In the distance I noticed the flotilla of boats approaching. Shortly after we counted 25 orca whales and 125 boats (commercial and private) around them! What was going on? We had only just brought whales back from the brink of extinction from hunting and now it looked like we were ‘loving them to death’ instead! Since the ‘Save the Whales’ movement of the 1970s whale watching has grown into a multi-billion dollar global industry, widely recognized as the antithesis to whaling, and a harmless commercial activity that is equivalent to whale conservation. ‘The Whale’ has become a human passion. People want to observe cetaceans (whales, dolphins and porpoises) in the wild and the demand for close and personal experiences fuels an ever-expanding industry worldwide. With close to half the world’s whale and dolphin species occurring in New Zealand waters, Aotearoa is a popular destination for whale watchers from around the globe. Whale watching in Kaikoura is among the most popular tourist attractions in this country. There are also a number of dolphin watching and swim with dolphin operations throughout New Zealand including Kaikoura, Akaroa and the Bay of Islands. There is no doubt about the socioeconomic benefits: In 2008 13 million people engaged in whale watching in 119 countries generating $US 2.1 billion. Whale watching has developed into one of the most successful types of tourism in the world including economic, community, educational, research and conservation benefits. Much of this success is simply due to the charismatic power of whales and dolphins which have become icons of conservation. Consequently, in a world with so many people going whale watching each year, understanding and actively managing environmental impacts is important. With such large numbers of people involved – what about the issue of sustainability? How much watching is too much? How close is too close? A significant body of scientific research indicates that whale watching can in fact have negative impacts on populations of whales and dolphins. These impacts relate to proximity and speed of boats, boat crowding, underwater noise pollution and disturbance of important behaviours such as feeding, resting and nursing. Management of whale watching around the globe ranges from government regulations, to guidelines and voluntary codes of conduct to no management at all. Guidelines typically include restrictions on the number of boats in close proximity, boat speed limits, minimum approach distance and interaction patterns with whales and dolphins. Whale watching in New Zealand is managed by the Department of Conservation and tour operators require a marine mammal viewing permit to commercially view whales and dolphins. 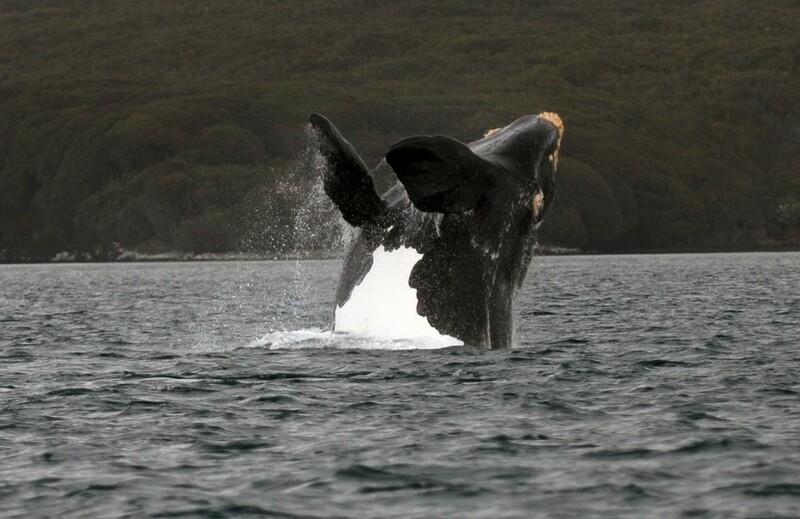 In order to minimize potential impacts on the sperm whale population around Kaikoura the Department of Conservation has limited commercial boat based whale watching to just one permit (as well as plane and helicopter based whale watching operations). In the USA anybody can start a whale watching operation without any regulatory permits required. In New Zealand and Australia you can swim with dolphins while other countries don’t allow swim-with operations. In Monkey Mia, Australia you can even feed wild dolphins. There are many examples of very well managed whale watching sites around the world. Overall however, management is inconsistent between different states and across international waters with considerable variation among whale watching codes of conduct. With exception, self-regulatory measures appear to be insufficient and enforcement of regulations almost non-existent. Ask about the local laws or codes of conduct that tour operators must follow to ensure you are joining a responsible watching excursion. Two key things to look for in a good code of conduct are restrictions on distance and speed. While whales and dolphins sometimes approach vessels out of curiosity that is the exception rather than the norm. Whales and dolphins need space (in New Zealand waters 50 metres or 200m if female with calf). Approaching them too close or too fast risks propeller injuries, impacts on their natural behaviour, can cause stress and can even separate calves from their mothers. Your operator has to take it slowly when in an area with whales. Vessel strikes have increasingly become the cause of whale deaths and strandings. Never try to touch or feed whales and dolphins. Chose a tour with experienced naturalist or guide. Look for recommendations from established research groups, educational facility, conservation association or forums such as trip advisor. Check out if and how tour operators contribute to research, education and conservation of whales. Check with your operator what you can expect to see. Marketing of whale watching can be misleading especially when it shows images of boats in extremely close proximity to whales. Too often people arrive with unrealistic expectations about their whale watching experience in terms of how close they can see whales and what behaviours and activity to expect. Tour operators should say what passengers can reasonably expect and why. Provide feedback. If the tour you chose leaves you with concerns about the welfare of the whales: express your concerns to the operator, write a short report to local authorities, tourist boards and/or online social/media forums. With 13 million people going whale watching it is time to take the industry seriously and evolve public discourse. Recent public debate surrounding the documentary Blackfish about Orcas in captivity is likely to further increase demand for watching whales and dolphins in the wild. The focus now should be how to sustainably manage the industry to the benefit of all stakeholders involved, including whales and dolphins. Critical scientific information however is not getting out to the whale watching community, hindered partly by the predominant marketing of whale watching as an inherently clean and green alternative to whaling. Potential impacts of whale watching a largely invisible to the whale watching public. It is therefore crucial to develop more effective science communication avenues and increase public awareness about ‘the right way’ to go whale watching. Informed members of the public, as key whale watching stakeholders, form a significant potential compliance management opportunity that can contribute towards the sustainable development of the industry. More effective science communication in whale watching therefore is a critical challenge. Wiebke Finkler has contributed 1 entries to our website, so far. View entries by Wiebke Finkler.